Samsung announced a new suite of slim and sophisticated USB Flash Drives (UFD), each equipped with robust Samsung NAND flash technology. 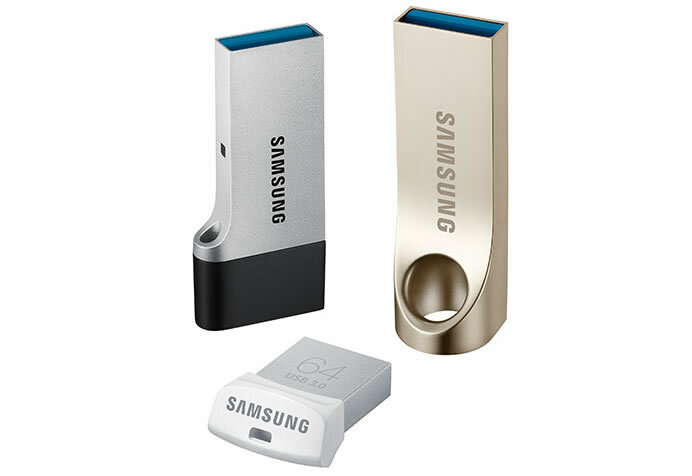 Samsung USB 3.0 flash drives come in three different form factors – Bar type as well as FIT and DUO types. Measuring 40mm long and weighing under 9 grams, the bar type drive is specifically designed for use in PC devices and is available in three capacities, 16GB, 32GB and 64GB. The drive offers sequential read speed of up to 130MB/s, allowing users to download a 2.4GB full HD video or approximately 40 hours of mp3 music from the UFD to their device in less than 20seconds. 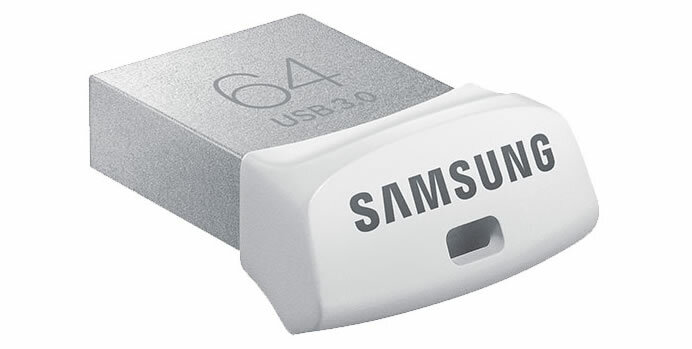 The Samsung USB 3.0 flash drive FIT is the most compact of Samsung’s new UFD lineups and is designed for use in ultra-slim notebooks or in automobiles equipped with USB ports for data or music storage. The FIT drive is less than 20mm long and weighs just over 2.0 grams and also offers sequential read speed of up to 130MB/s in both 32GB and 64GB capacities. 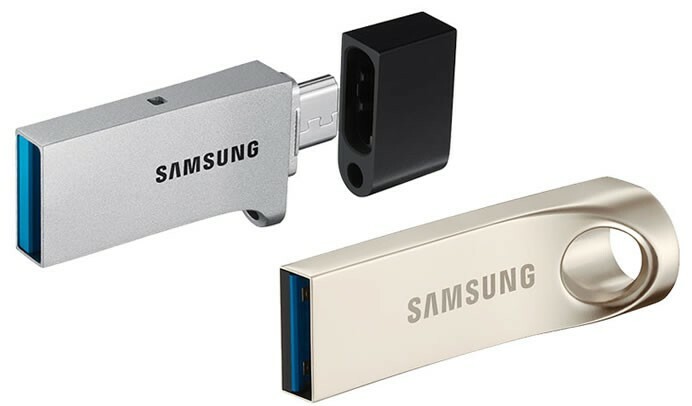 The Samsung USB 3.0 flash drive DUO is specifically designed for smartphone, tablet and PC users on the go who require added flexibility of an all-in-one solution for standard and micro USB ports. The DUO comes with a convenient attached cap that protects the micro USB. The DUO drive is available in 32GB and 64GB capacities and is less than 37mm long and weighs less than 6 grams. All of the USB 3.0 drives are also compatible with USB 2.0 and come in metal-based design equipped with Samsung’s robust NAND flash and equipped with Samsung’s 5-proof technologies and a 5 year warranty commencing on the date of purchase.